Google may have rushed the Pixel Slate announcement a little bit since the search giant did not offer any detail about availability. We have a list of prices and hardware configurations that tells us Google is trying to cover all price tiers with the Pixel Slate, but that's just about it. Customers in the United States who wish to purchase the Pixel Slate will be able to so through various retailers across the country, including Best Buy, just not now. Although the tablet is listed at many of these retailers, you can't actually buy one. However, Best Buy inadvertently may have revealed when exactly the Pixel Slate will be launched in the US. For a brief time, the retailer had a November 22 release date attached to the Pixel Slate listing but has since removed it. If you visit the tablet's page on Best Buy's online store, you'll notice that a release date is no longer available, but we do have a screenshot to prove. Even though we can't be sure how accurate Best Buy's information really is, a late November / early December release for the Pixel Slate makes sense. Huge mistake on release date by Google on the Slate. 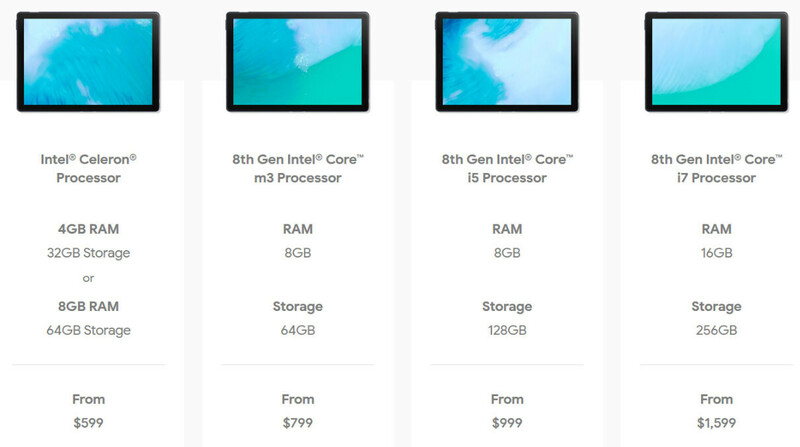 Huge mistake on pricing on I3, 5, and 7. Good luck selling no more than 2 million. With the iPad right around the corner I can see Apple releasing the second week of November. The huge mistake here is you being an ignorant troll once again CreeDiddy. The iPad can't even do a 1/4 of the stuff that this tablet can do. This runs Chrome OS, as well as Android apps. Now you can run native Linux programs, including full graphics applications, IDEs like Android studio, VMs, server applications, and so much more. Soon you will be able to run native Windows programs as well. Will ChromeOS support other languages, even though the Slate is released in US, Canada and UK only? Pixel Slate is one tablet I definitely want looking forward to it's release in Nov.